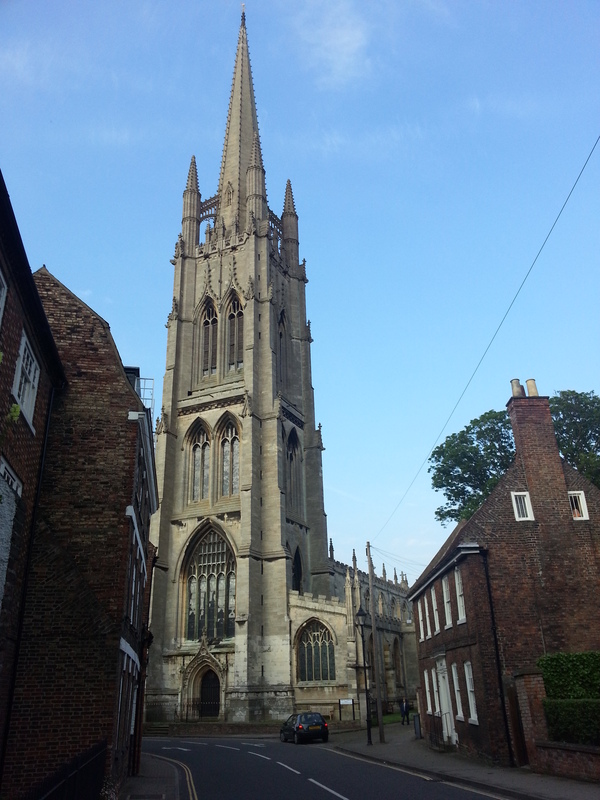 The Church of St James’, Louth, complete with its famous spire, which is 500 years old this year. Having enjoyed singing as one of three Minster Choirs in March, we go on our travels, again, next week to sing with three of the Eastern-most church choirs in the country! The Minster Choir will join those from All Saints’, Waltham and St James’, Louth, in order to sing Choral Evensong in the beautiful setting of St James’ Church, Louth. Music will include Responses by Bernard Rose as well as music by Basil Harwood, including his “glorious” anthem O how glorious is the kingdom. The combined choirs will be conducted variously by three people: Allan Smith, Louth’s Choral Director; Robert Adams, the Organist and Choirmaster from Waltham, as well as our own Director of Music, Steven Maxson. The service begins at 6.00pm and all will be welcome to join us to hear wonderful music in a wonderful setting. This entry was posted in Uncategorized and tagged choir, choirs, choral evensong, East, Eastern, evensong, Grimsby, Grimsby Minster, Lincolnshire, Lincs, Louth, Waltham. Bookmark the permalink.